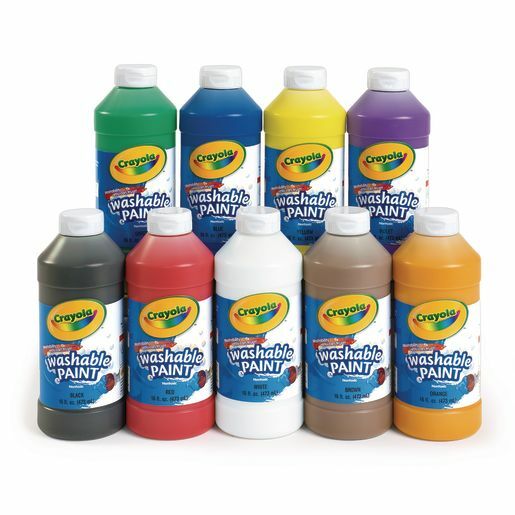 Crayola® Washable Paint combines vibrant color with easy washability from skin and most clothing. Easy cleanup with soap and water. Available in: black, blue, brown, green, orange, red, violet, white or yellow.